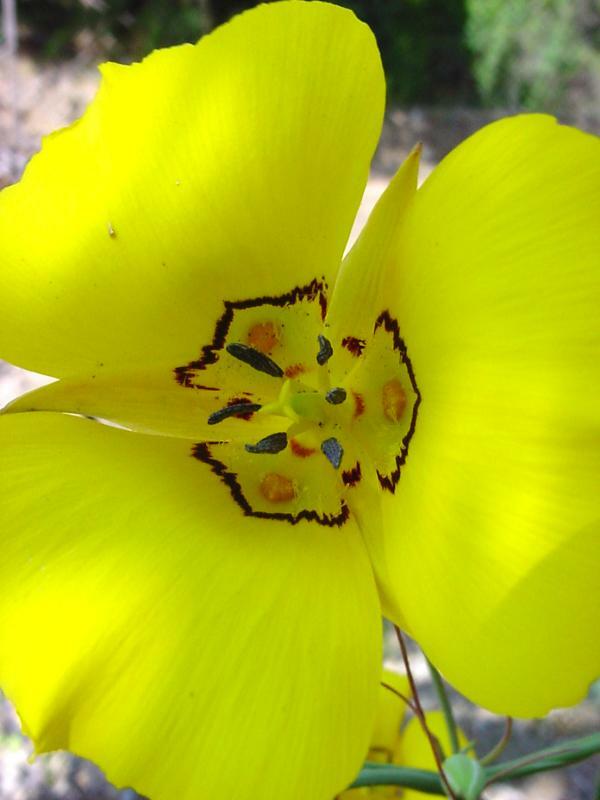 This beautiful yellow mariposa lily is an uncommon, ± erect, slender- and straight-stemmed annual growing to about 12" tall. 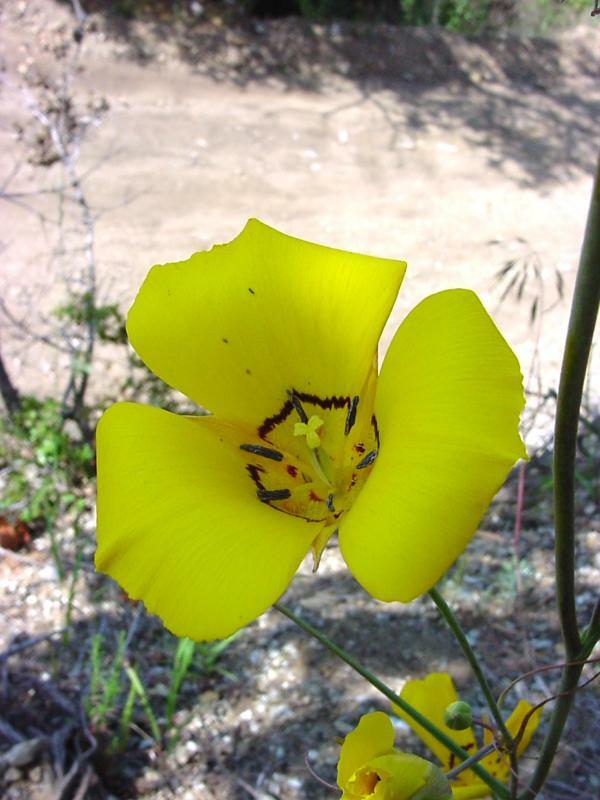 It is found in shaded foothill canyons and chaparral to approximately 3000' at the south base of the San Gabriel Mts. The leaves are linear and grass-like, 4"-8" long below and reduced above, and are often withered by the time of flowering. 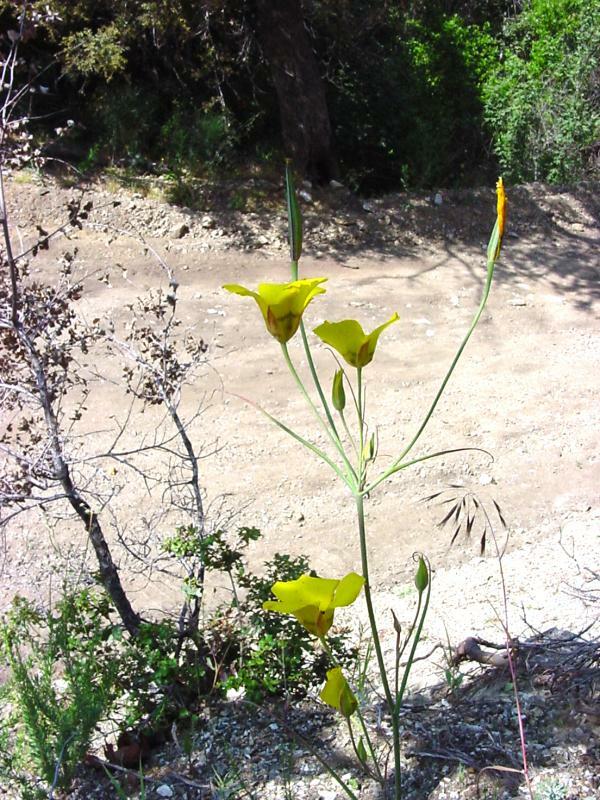 There are from 1-6 large and showy deep-yellow flowers rising from a common terminal point on the stem, markedly cup-shaped, with three lanceolate to ovate yellow sepals and three broadly cuneate to obovate yellow petals. 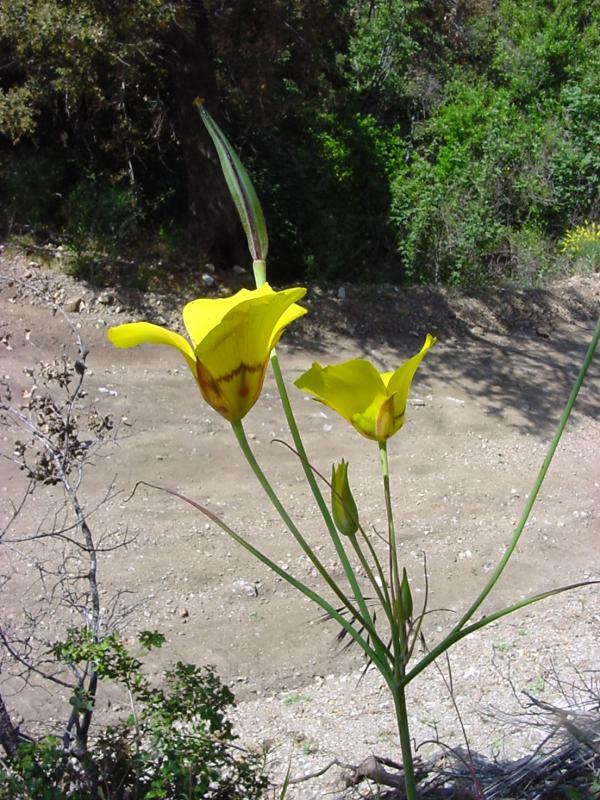 Each petal has a round, slightly-depressed nectary that is marked above by a distinctive dark reddish band, and the petals are only sparsely covered with clavate hairs, unlike the yellow mariposa lily whose petals are densely hairy. The six stamens have long brown or deep purple anthers, and the three united carpels form a single pistil with a three-lobed stigma. The fruit is an erect, narrowly lanceolate capsule about 3" long. Slender mariposa lily blooms from April to June. These pictures were taken in Evey Canyon in the foothills of the San Gabriel Mts above Claremont. Click here for Latin name derivations: 1) Calochortus 2) clavatus 3) gracilis.